The Franklin Braintree project includes the restoration of Allston Hall an existing masonry building at the corner of Franklin and Braintree streets. The building plays off the contrast of the historic building by using a modern infill volume that is then clad with a masonry wrapper which can be a modern interpretation of the historic masonry fabric. The quoining on Allston Hall is reinterpreted at the corners of Franklin Braintree as slipping layers of masonry, which both reinterpret the existing condition and express the layered nature of the building construction. 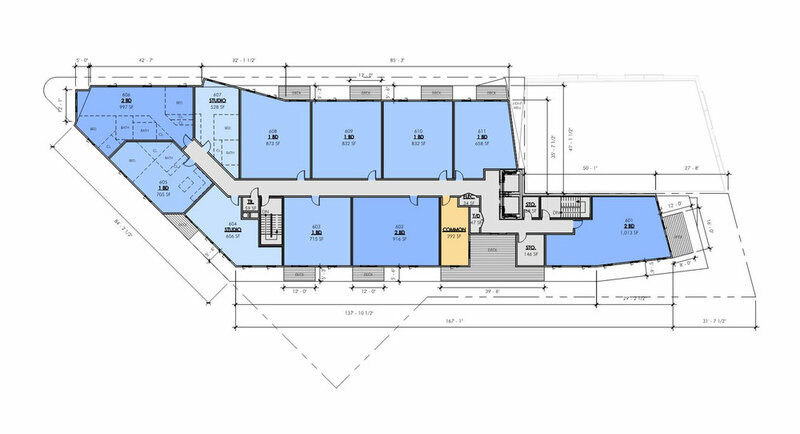 The renovated building will house 9 rental residentail units, and the new construction building that wraps the existing building will house 62 condominium units. 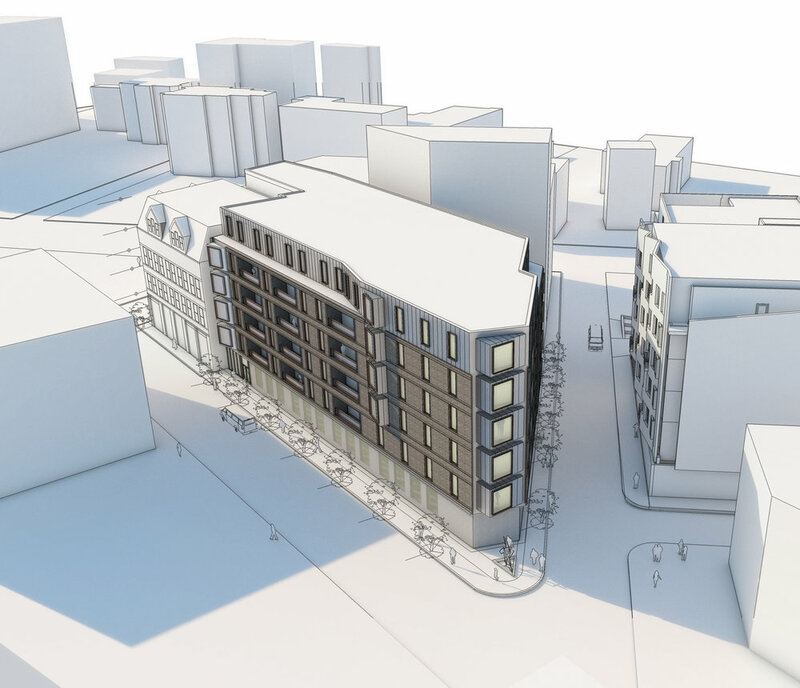 This project is one of six buildings that is part of the Allston Square master plan that Embarc is currently working on and taking through the permitting process with the development team and council.